I started working online 12 years ago, and started working with Home-Based Working Moms 9 years ago. Just a bit after beginning with HBWM.com, I met Donna. She was a competitor to HBWM, as well as a HBWM member. At first, I was a bit leery of being pals with her, because I distrusted a competitor being so interested in what we were doing. But, as time went on and we communicated more and more, I realized that there was room in the world for both of us. And she was sweet and kind and had a heart of gold – who couldn’t love her?! I’ve continued my virtual relationship with her, and even worked with her dad a bit as the years went by. I tried to catch up with her when we were in Sacramento last year, but she left town the day before we got there – though, she did give me some great tips on what we had to see and do while we were playing tourists! And this is how she pays me back for my loyal virtual friendship – with a meme about how weird I am??!! If I hold my nose and blow, air comes out of my tear ducts. If I hold my nose when I sneeze, stuff comes out of my tear ducts and messes up my glasses. I can’t eat oranges. I love the flavor but I cannot stand that texture in my mouth. 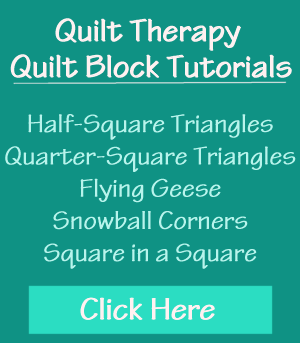 I’m a quilt designer, but I’m allergic to the sizing on fabric. eeeew, it’s painful sometimes when my skin erupts if I’ve played with fabric too much! I *love* the smell of coffee beans and fresh ground coffee — but, I *hate* drinking the stuff! My Gramma from Tramma (maternal grandmother) was very special to me, growing up. She had birthed 13 children. When she was older, her bosoms were so stretched out that if she didn’t want to wear a bra, she could tuck them into the waistband of her pants. ummmm, I’m not quite there, but after 4 kids – it’s too close for comfort! YOU! If you have a blog and want to play along, I invite you to do so – be sure to link to this post! LOL! That was TRULY random. And weird.